An opponent damaged by Nicol Bolas must discard entire hand. Ignore this effect if opponent has no cards left in hand. 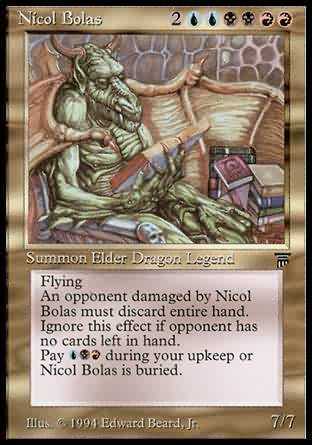 Pay UBR during your upkeep or Nicol Bolas is buried.